NuAir is an amazing product that is the result of years of development, experiment and testing. 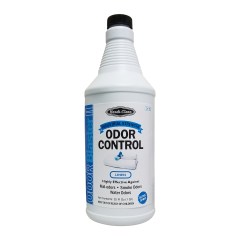 Never before has a product been offered that has the advantages of an extremely pleasant cover up or masking deodorant which works immediately upon application and in addition has a silent neutralizing deodorant which is highly effective in any area removing malordors. Since NuAir is not an aerosol it contains no harmful propellants. One quart of NuAir gives the user a greater bargain than two twenty two ounce cans of aerosol deodorants. 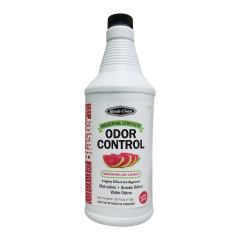 In addition to the increased value of NuAir, it is much more versatile in that it can be sprayed, squirted, or used in volume with cleaners to neutralize odors. 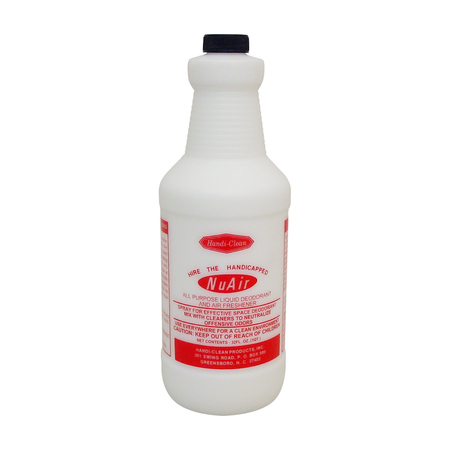 NuAir is highly effective upon smoke odors and musty water odors. 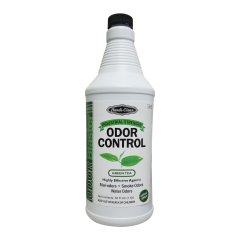 It leaves a pleasant Handi-Mint fragrance while at the same time neutralizing undesirable odors. As A Spray: Hold in an upward position and spray using trigger sprayers. 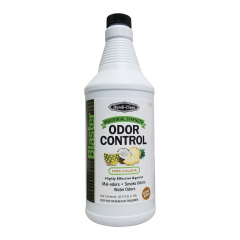 Spray directly on the source of odors if possible. 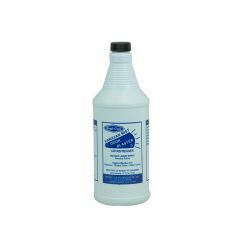 As A Liquid: Squirt s few drops to deodorize waste baskets, cigarette urns, garbage pails, garbage disposals, scrub water, urinals, mildew or rusty areas, etc. 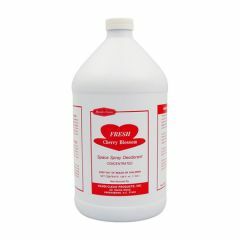 Mix: Add two oz per gallon of other liquids such as cleaners to neutralize odors.